No other drug is used by a greater number of people worldwide than aspirin. No other drug is used by a greater number of people worldwide than aspirin. Its remarkable capacity to relieve pain and reduce fever has been appreciated for thousands of years. More recently, aspirin’s ability to lower risk for heart attacks and stroke made it a mainstay of prevention. Recent research now indicates that this over-the-counter medicine chest staple may be our most promising cancer prevention drug. In 1982, the Nobel Prize in medicine was awarded to researchers who demonstrated how aspirin prevented heart attack and stroke. Their work identified a family of enzymes that are widely distributed throughout the body. These cyclooxygenase (COX) enzymes exist in two forms, COX-1 and COX-2. COX-1 generates chemicals that control blood pressure, regulate blood flow to the kidneys, activate platelets for clotting and protect the stomach lining. COX-2 triggers the release of chemicals that cause fever, inflammation and pain. Like other non-steroidal anti-inflammatory drugs (NSAIDs), aspirin inhibits both COX-1 and COX-2. The benefits of COX-2 inhibition are obvious. COX-1 inhibition is more complicated. This action increases the risk of ulcers, stomach bleeds, elevated blood pressure and kidney problems. Bad. All NSAIDs increase the risk of heart attack and stroke, except for aspirin, which reduces that risk. Good. So how did we discover aspirin’s capacity to fight cancer? 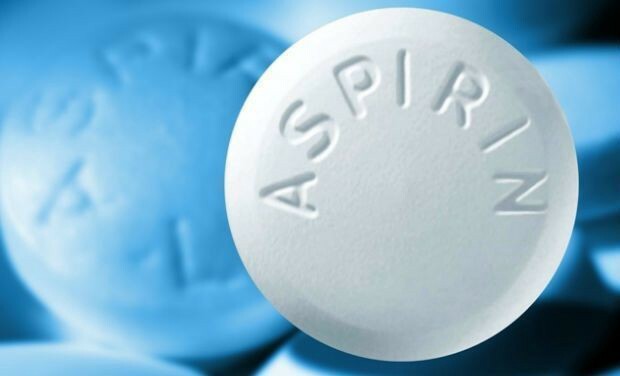 Large observational studies documenting the cardiovascular benefits of aspirin linked long-term use with a 30% to 50% reduction in risk for colon cancer. These results spurred further examination of aspirin’s effect on other cancers. Promising but inconsistent results for a wide range of malignancies led to randomized clinical trials (RCTs), the gold standard of clinical research. Early RCTs in the U.S. disappointed. Aspirin appeared to provide no protection from colon cancer or other malignancies. Subsequent British studies (excluding the American data which had observed every other day aspirin dosing, a regimen shown to successfully reduce risk of heart attack and stroke) examined only daily dosing for a duration of more than four years and cancer deaths, a more easily documented end point than the incidence of nonfatal malignancies used in the US research. These trials revealed a 21% reduction in the risk of dying from cancer with a daily dose of aspirin. This protective effect became evident only after five years of follow-up. Aspirin appeared most effective with gastrointestinal cancers, reducing risk of death by 54%. Pancreatic, colorectal and esophageal cancers were most responsive but prostate and lung cancer deaths were also reduced by aspirin. The anti-cancer effect did not require high doses. As little as 75mg a day proved effective. The use of aspirin is not limited to primary prevention. A 2009 study followed colorectal cancer patients for about 12 years after initial diagnosis. Regular aspirin users experienced a 29% lower risk of dying from colorectal cancer compared to those patients who did not take aspirin regularly. The research effort to unlock the mechanism by which aspirin lowers cancer risk is massive. Chronic inflammation is associated with the development of malignancies and aspirin excels at blocking inflammation. Recent research suggests one anti-cancer pathway involves platelets, the cells that form clots in order to stop bleeds. Platelets produce a protein (c-MYC) that can help cancer cells survive and spread when overexpressed. Aspirin blocks this action. Aspirin’s magical platelet blockade is a two-edged sword. It appears to makes possible the prevention of heart attacks, strokes and cancers, the most common causes of death. It also increases the risk of gastrointestinal bleeding. For this reason the decision to use aspirin requires a clinical assessment of relative risks. Fortunately, the effective dose for obtaining aspirin’s preventive powers is low. Aspirin was first obtained from the bark of willow trees in ancient Egypt. No drug has proven more useful. Unlike most modern medications, aspirin costs a few pennies. One has to wonder what other natural compounds are out there waiting to be discovered. Originally published at www.huffingtonpost.com on March 22, 2017.